It’s the well-known story of a sickly child visited by his grandfather who wishes to read him a story that’ll transport the young one to a new land and get his mind off his illness. The kindly old grandfather reads a fantasy book that is at times too mushy, too intense, and too unfair for the kid to take. That’s, of course, the framing device for The Princess Bride, the beloved ’80s film and book by William Goldman. But what if the book that Grandpa had chosen to read was even more intense, mushier, and incredibly cruel to its characters? 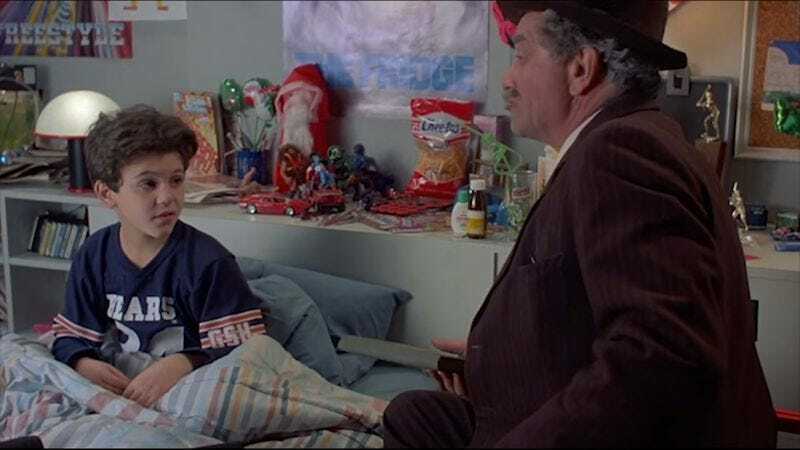 What if Grandpa Peter Falk subjected a pre-pubescent Fred Savage to George R.R. Martin’s books from A Song Of Ice And Fire? By intercutting scenes from HBO’s Game Of Thrones series with reactions from Fred Savage and Peter Falk, Shawn Kohne and Todd Spence have created a pretty funny and slightly spoiler-heavy mash-up that will undoubtedly leave the infirm child traumatized for years to come. Never mind the horrible betrayals and acts of violence, but hearing Peter Falk narrate the various scenes of NSFW sexposition incorporated into the show may be enough to eternally warp a child.